During your Hawaii vacation you also have to get something to eat. This means that if you don’t eat at the restaurant every night, you will have to feed yourself. If you’re staying in a hotel, cooking yourself will look a bit more difficult as you don’t have a kitchen in your room. Nevertheless, you have some options to have a good and tasty meal in your Hawaii vacation! The Safeway supermarket is one of the cheapest in Honolulu. I recommend you to get a Club-Card. You can get it at the checkout and it’s free. Anyways, you don’t have to register anywhere. You will be asked if you live in Hawaii or are a tourist. This gives you a lot of price advantages and you can save a lot of money when shopping. 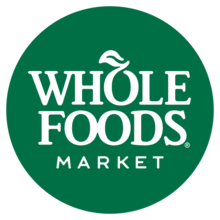 Another alternative is the supermarket Whole Foods. The products are usually a bit more expensive, but there are also fresh dishes on offer that are great for a short lunch. Snacks for in between can be bought in the ABC stores, which can be found in many corners, especially in Waikiki. You can buy vegetables well and cheaply in Chinatown. Because of the fact that about 85% of all products have to be imported, the prices are higher than we are used to from our home country. These three are the most famous supermarkets in Hawaii. My favorite is the supermarket Safeway, because the food there is not as expensive as Whole Foods. However, the ABC stores are really only suitable for small snacks. You won’t get any food to process yourself afterwards. 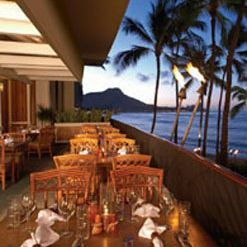 Restaurant in Waikiki overlooking Diamond Head. If you don’t feel like going shopping during your Hawaii vacation, you can of course go to one of the many good restaurants. First of all: Don’t forget that your food is subject to taxes and a tip of 15-20%. Especially in Waikiki there is a big choice of restaurants. No matter if you want Italian, Chinese or typical American food, in Waikiki you will find the right restaurant! It’s always helpful to have reviews, which you can read in advance at TripAdvisor, for example. This will give you a small overview of what’s on offer and where you can find the best restaurants. Tip: In Kaimuki Superette, you can have a very good breakfast. When it comes to your food and drink during your Hawaii vacation, there is no big difference to your home country. In the supermarkets you get everything you need, sometimes even more than at home. Furthermore, there are plenty of restaurants. I hope these tips will help you on your next Hawaii vacation! Write to us on Facebook if you have more questions. If you are interested in a guided tour, then have a look at DanielsHawaii!